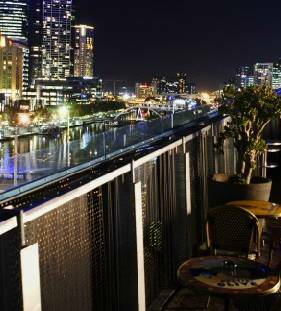 Rooftop Bar, Imperial Hotel, 2 Bourke St, Melbourne 3000. 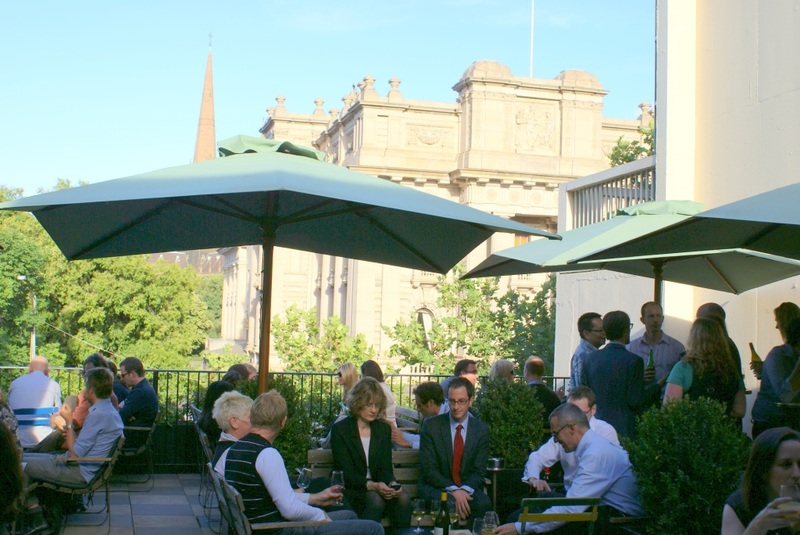 +61 3 9810 0062 Luxurious new rooftop beer garden. Heaters are available for you during the winter months and in the summer you can soak in the view and the sunshine. 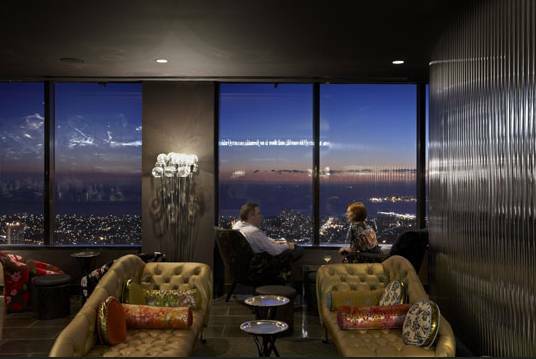 Madame Brussels, Level 3, 59-63 Bourke St, Melbourne, VIC 3000. +61 3 9662 2775. When you walk outside onto the large two floored balcony you are welcomed by a leafy view and upmarket fare. Mt View Hotel, 70 Bridge Road, Richmond, Vic. +61 3 9428 3973. Cinema Nova, 380 Lygon St, Carlton, Melbourne. +61 3 9347 5331 Treetop view of Lygon Street. True South, 298 Beach Rd, Black Rock, Melbourne. 1300 878 360 Only open Sundays. Tthe rooftop above this deco garage turned microbrewery and Argentinian restaurant is perfect for casual drinks with a view. The Deck Bar, 2-4 Davey St, Frankston, Melbourne. 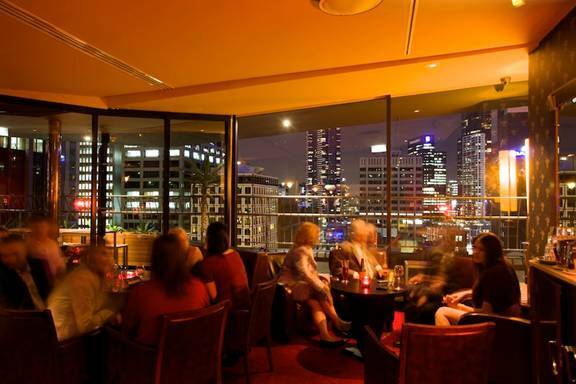 +61 3 9783 1003 Bayside view. 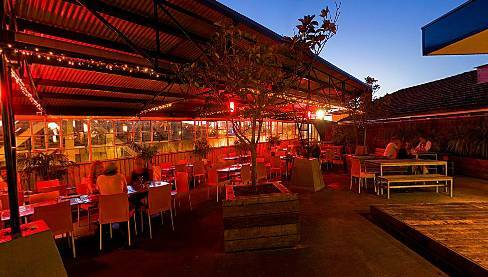 Deluxe Rooftop Bar, 595 Mt Alexander Rd, Moonee Ponds, Melbourne. +61 3 9370 1144 Heaters in winter.